As the kings of restaurant supply, we pride ourselves in having the widest selection of disposable black bowls for restaurants and banquets. 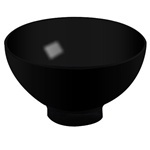 Try our dining room black bowls for your restaurant dining or party. 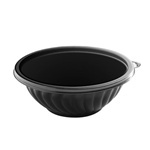 EMI Yoshi Plastic Prepserve PET Bowls Black - 80 Oz. 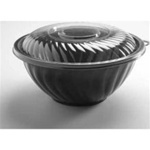 EMI Yoshi Resposable Plastic Black Dessert Bowls 5 oz. 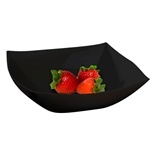 EMI Yoshi Resposable Black Plastic Dessert Bowls - 12 oz. 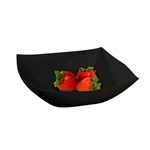 EMI Yoshi Plastic Square Serving Bowl Black - 32 Oz. 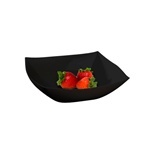 EMI Yoshi Plastic Square Serving Bowl Black - 64 Oz. 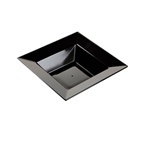 EMI Yoshi Plastic Square Serving Bowl Black - 128 Oz. 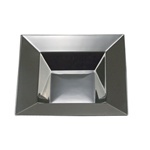 EMI Yoshi Plastic Squares Soup Bowl Black - 12 Oz. 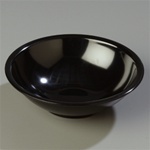 Carlisle Salad Bowl Black 5.5 in. 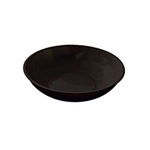 Carlisle Salad Bowl Black 6 in. 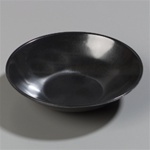 Carlisle Salad Bowl Black 7.5 in. 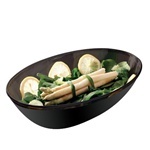 Emi Yoshi Prepserve Bowl Black - 80 Oz. 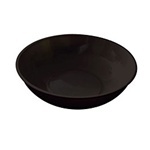 Emi Yoshi Prepserve Bowl Black - 160 Oz. 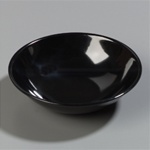 Emi Yoshi Squares Soup Bowl Black - 12 Oz. 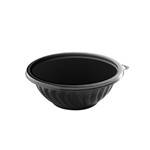 EMI Yoshi Plastic Prepserve PET Bowls Black - 24 Oz. 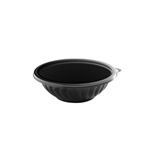 EMI Yoshi Plastic Prepserve PET Bowls Black - 32 Oz. 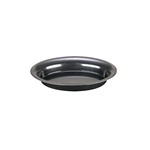 EMI Yoshi Plastic Prepserve Shallow PET Black Bowls - 24 Oz. EMI Yoshi Plastic Prepserve Shallow PET Bowls Black - 32 Oz. EMI Yoshi Plastic Prepserve PET Bowl Black - 48 Oz. EMI Yoshi Plastic Prepserve Pet Bowl Black - 60 Oz. 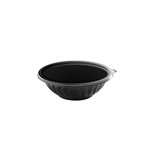 EMI Yoshi Plastic Prepserve Pet Bowls Black - 64 Oz. EMI Yoshi Plastic Prepserve PET Bowls Black - 160 Oz. 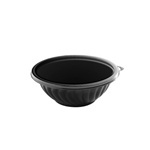 EMI Yoshi Plastic Prepserve PET Bowls Black - 320 Oz. 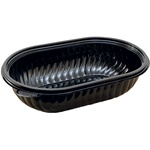 EMI Yoshi Plastic Small Oval Salad Black Bowls - 1 Qt. 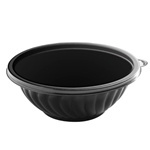 EMI Yoshi Plastic Round Black Bowls - 128 Oz. EMI Yoshi Plastic Round Black Bowls - 192 Oz. 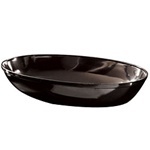 EMI Yoshi Plastic Majestic Bowl Black - 12 Oz. 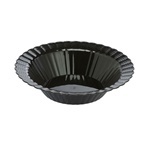 EMI Yoshi Plastic Squares Dessert Bowl Black - 5 Oz. 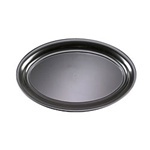 Buy wholesale black bowls for your foodservice restaurant.